Marvelous Middle Grade Monday (MMGM) is the brainchild of author Shannon Messenger. Check in on her blog each week for a list of participating bloggers. We at For Those Who Know are excited to get involved. We’ll be highlighting one or more middle grade verse novels most Mondays, so stay tuned. To kick of we thought we’d have some fun with a poll on middle grade verse novel covers. Let’s face it, some verse novels can be a little…well…dark. And some have covers as dark as their plots. Don’t get me wrong, I love me a dark book and a dark cover. Nevertheless, I’m kind of thrilled to see some genuinely cute covers showing up in verse novels. Now admittedly these are all middle grade verse novels, but look at them! They’re adorable. I can’t help but have a little vote on them. Choose your favorite in the poll below. And while you’re at it pick up one of these cute little recent releases at your bookstore or library. It was a toss-up for me between two…I had to hold emphasis on “cutest” to vote! Some great covers here. I’ve only read two of the books — Toppling and May B — which were both terrific. Now I have more books to add to my TBR. I’ve read three of these–The One and Only Ivan, Inside Out and Back Again, and May B.– and adored each of them. While I wouldn’t want to read too many verse novels in a row (I’m fond of the details prose allows better for), I do like verse novels better than I thought I would. And what I usually like best is how the sparse wording is usually perfect for that book. I’ve only read two of these, INSIDE OUT AND BACK AGAIN and MAY B…both wonderful and suited to verse for the story being told. 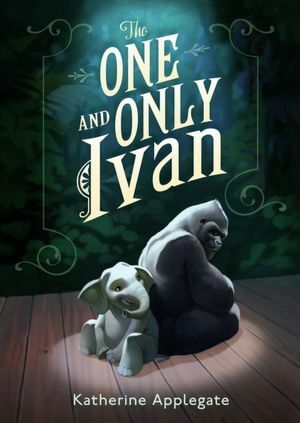 ONE AND ONLY IVAN is on my to read list and will add the others, too. Thanks for the feature. And quite love INSIDE OUT AND BACK AGAIN’s cover! I’m a sucker for Russian dolls! LOOKING FOR ME it is! What a fun poll! I haven’t read any of these yet- but a fe of them are already on my TBR list. I haven’t heard of Looking for Me before- what a great cover. 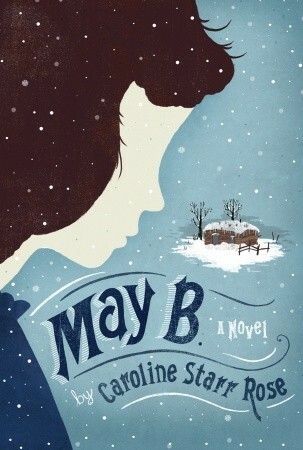 I’ve read MAY B. and THE ONE AND ONLY IVAN, loved both and currently have both on my Staff Pick shelf at the bookstore. I really need to read INSIDE OUT & BACK AGAIN. But all the covers are lovely! Seems like this has turned into a popularity contest- “cover cuteness” be damned. How sad. I loved the book and the sense of humor of the author. 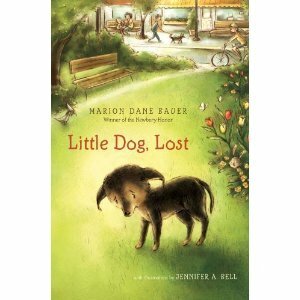 From the clever picture cover to the end, it is a book that can be enjoyed by any age.